The best proven way to avoid a toothache is to take better care of your teeth and maintain proper oral hygiene. This reduces your chances of experiencing a troublesome toothache. The foods and drinks that we consume every day that goes through our mouths make our teeth weaker and more susceptible to cavities. 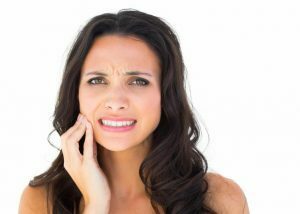 Cavities and sore gums will eventually make it extremely difficult for you to eat, and you will be very uncomfortable and in pain. We recommend that you brush your teeth after every meal. If you cannot brush your teeth after lunch, you need to brush them at least twice a day, after breakfast and before you go to bed. This will minimize the accumulation of food particles on your teeth that can cause damage as you go through the day and when you are sleeping. As important as brushing ones teeth is, a toothbrush is not enough when it comes to cleaning our teeth. We still need to floss our teeth to be able to reach the areas between our teeth where the toothbrush cannot reach and ensure those areas are cleaned and free of plaque. Change your toothbrush every three months and make sure that the bristles of your toothbrush are soft. Hard bristled toothbrushes can cause damage to the gums, and this may then lead to gum diseases. You should visit a dentist twice a year. This way, your dentist will be able to tell you what kind of shape your teeth are in, what you need to do to ensure you take better care of them and clean your teeth to remove the plaque. Check the toothpaste that you use when you brush your teeth. Make sure the toothpaste you use contains fluoride, as it offers great protection for your teeth when it comes to plaque. Rinse your teeth with a mouthwash, and make sure it is a mouthwash that contains fluoride. The foods we eat affect our teeth, sometimes in a very negative way. Be aware of the foods that you put into your mouth, and try to stay away from foods that contain too much sugar. Fruits and vegetables get a thumps up, as well as drinking water as opposed to drinking acidic drinks.